Buying a new furnace has the potential to be an overwhelming process, especially if you unexpectedly have to replace your current heating system. To help you make an informed decision and get the best value for your investment, there are several important things that you need to consider. Fuel Source- There are several fuel source options to choose from when having a new furnace installed- natural gas, electric and oil. Ask your HVAC dealer for the cost advantages and disadvantages of each type so you have a general sense of what it will cost to maintain the system during future heating seasons. Energy Efficiency- Furnaces with higher AFUE (Annual Fuel Utilization Efficiency) ratings are more energy efficient. 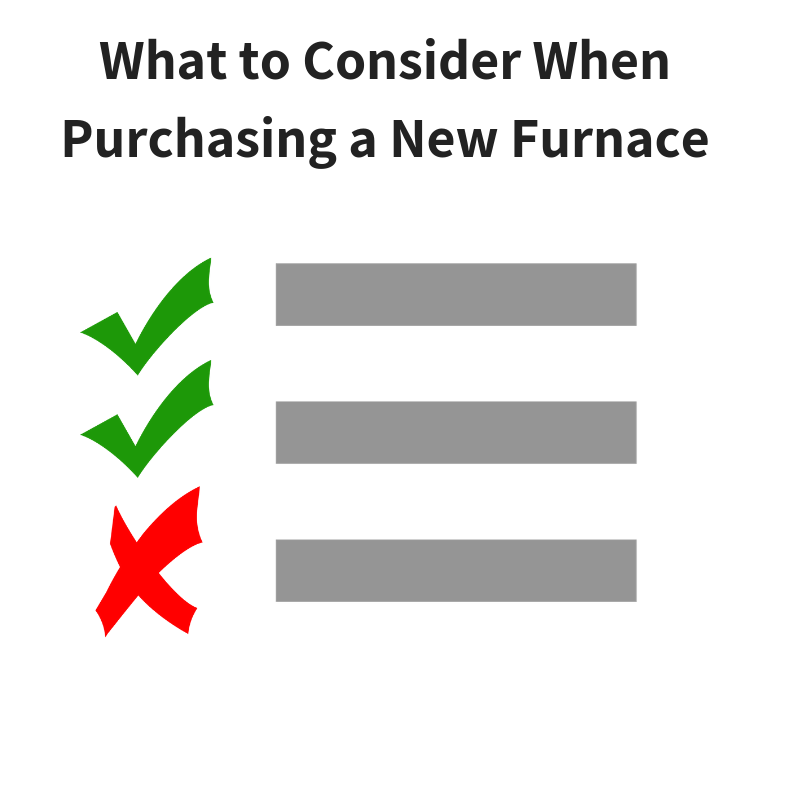 New furnaces are required to have a minimum AFUE rating of 80%. If your current heating system has an AFUE rating less than 80%, it may be time to consider replacing your system with a more energy efficient option. Sizing- When it comes to HVAC equipment, do not assume that the largest available system is going to be the best option. Having a correctly sized unit is the key to establishing a comfortable home environment. Make sure that your HVAC dealer is taking precise measurements and performing Manual J load calculations to determine the proper sized equipment for your house. Warranty- Ask your HVAC dealer if any warranties are available for the new equipment you are purchasing. Examples of warranties to inquire about are labor warranty, manufacturer warranty and parts warranty. Rebates/ Incentives- Ask your HVAC dealer if any equipment qualifies for a manufacturer and/or local energy company rebate. There are often rebates available for upgrading to high efficiency systems. If you are interested in receiving a quote to replace your current furnace or have any questions about purchasing a new furnace, please contact our office to schedule a FREE estimate at 610-642-6323 or office@bobsredtrucks.com.